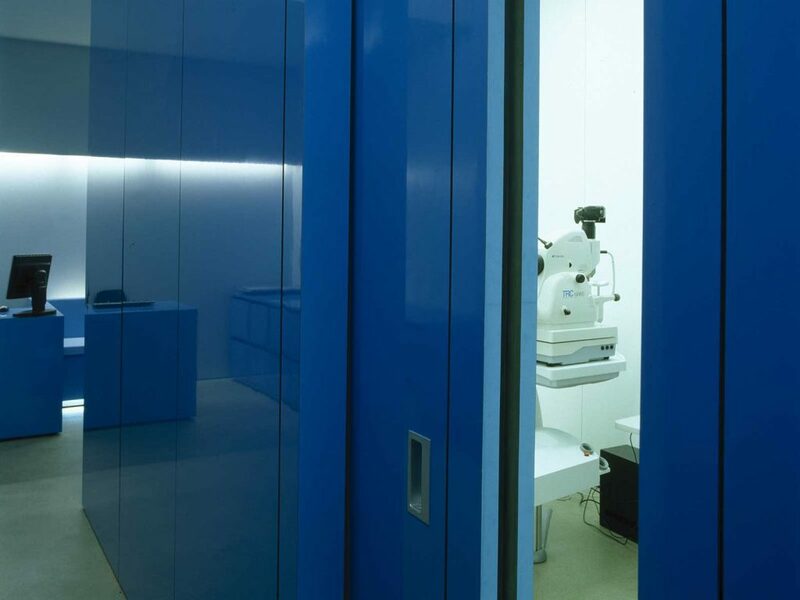 Brief: Design an elegant, two-story opticians on Duke Square on the Kings Road, London, incorporating private examination rooms, fitting areas and retail space. 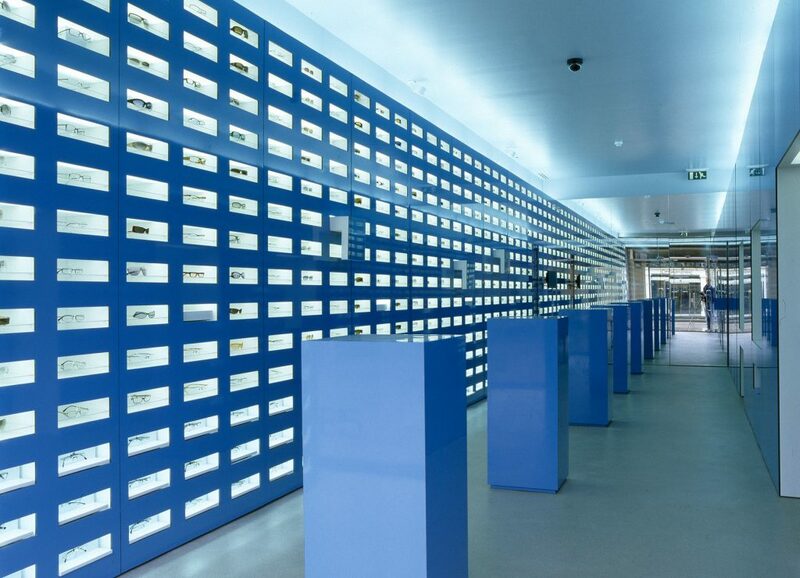 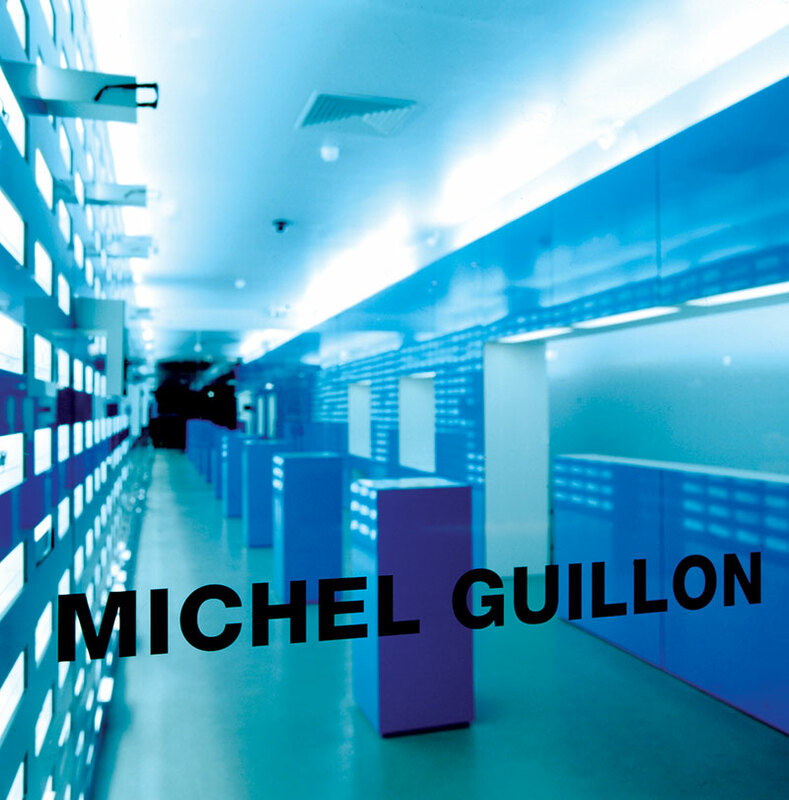 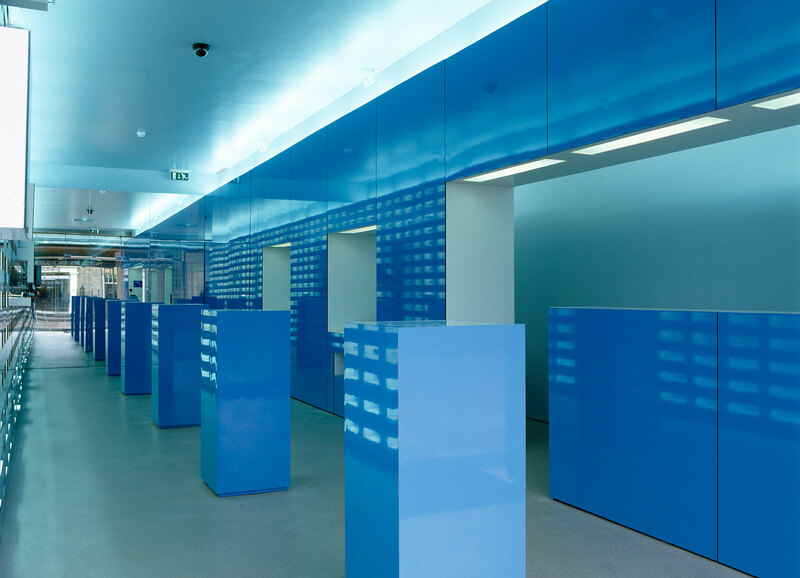 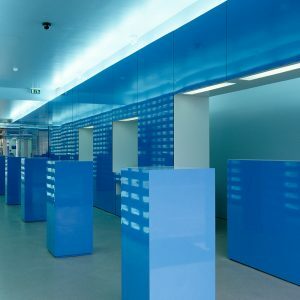 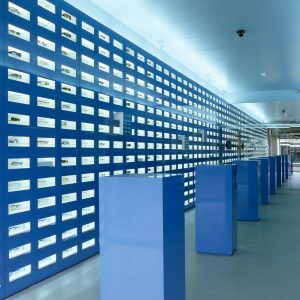 To create an exciting retail display centerpiece for this high-end opticians we designed a dynamic 14-metre long wall in bright blue laminate, containing a grid of 462 illuminated pigeon holes – each one holding a pair of spectacles. 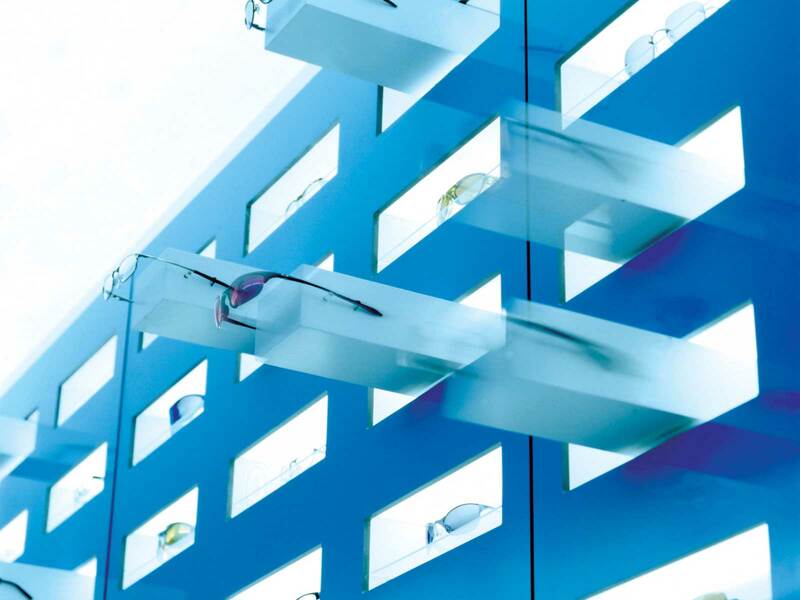 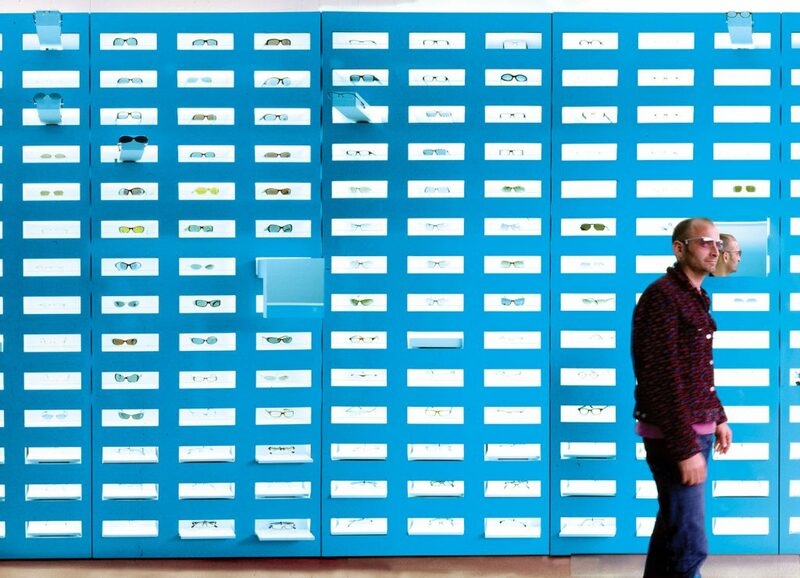 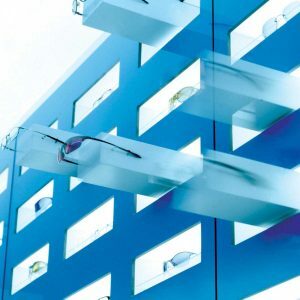 To bring a sense of playfulness and interactivity to the static process of choosing eyewear we used pneumatic pistons to enable a number of these individual compartments to slide out – unprompted – through the skin of the wall, offering the frames contained within for closer inspection. 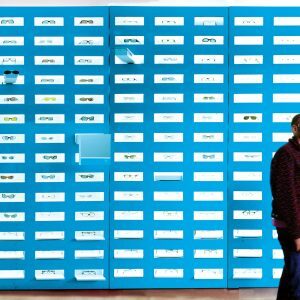 What was originally conceived to add a moment of humour and surprise to the standard retail process, inadvertently became a key selling tool as, framed by the shop window, the unpredictable sliding action of the animated drawers lured passersby in for a closer look. 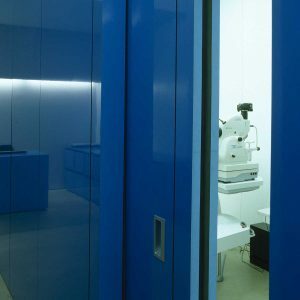 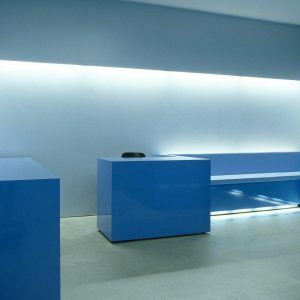 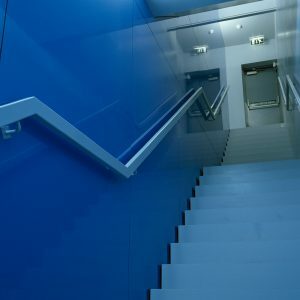 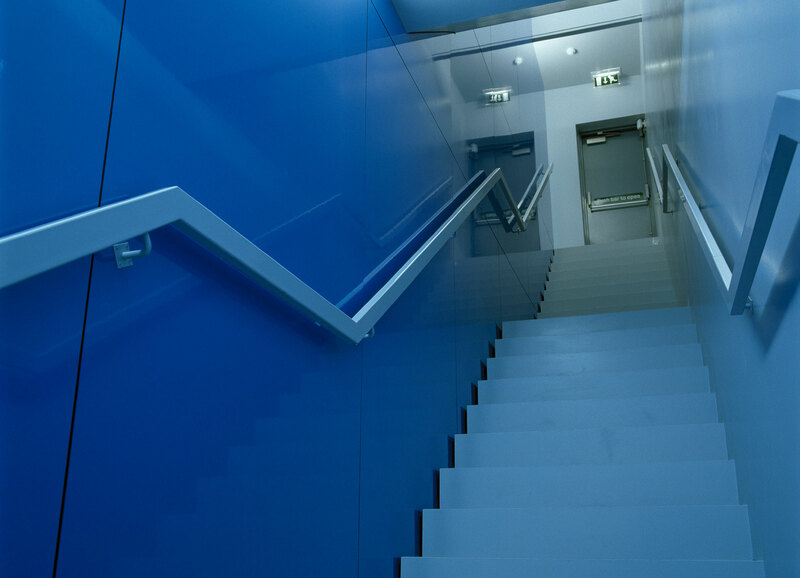 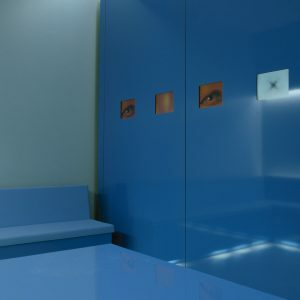 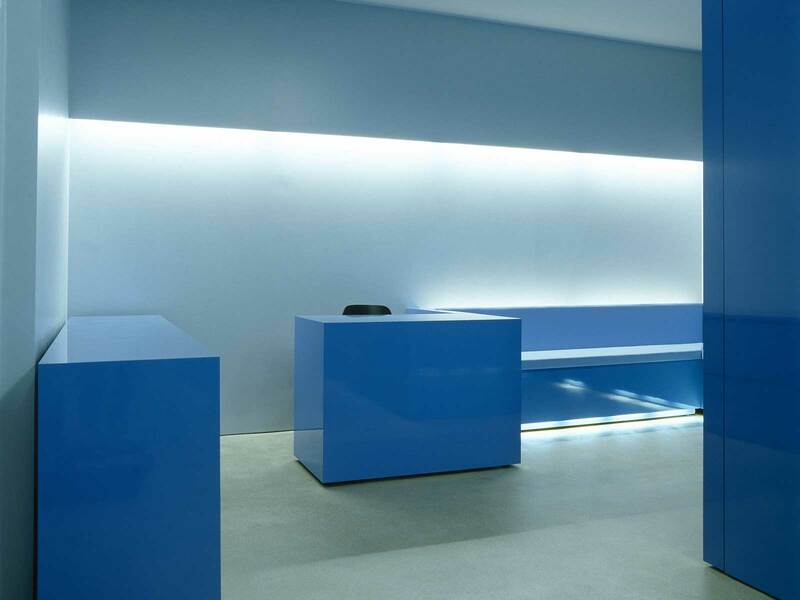 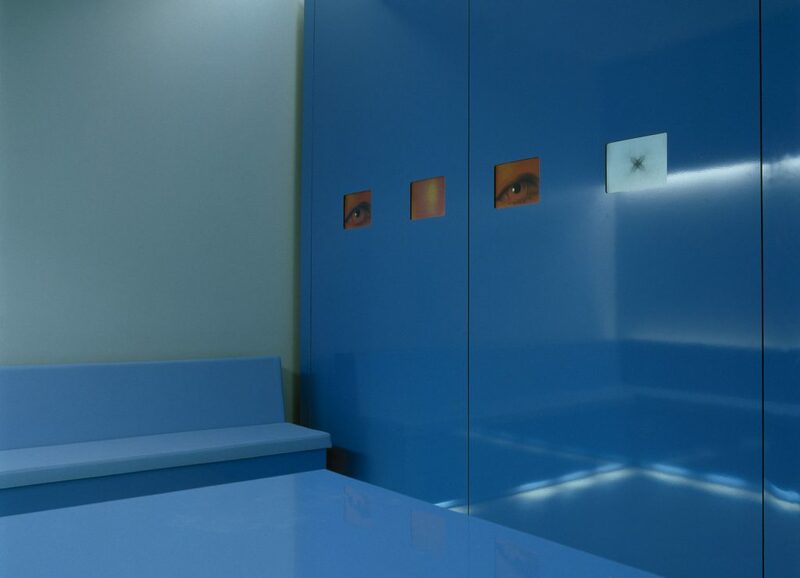 For the examination areas on the lower floor we continued our use of medical blue, concealing three cubicles behind glossy azure panels that glide silently open to usher you into the brilliant white consultancy space.